Vaclav Klaus, the president of the Czech republic, visited London on 27 November. 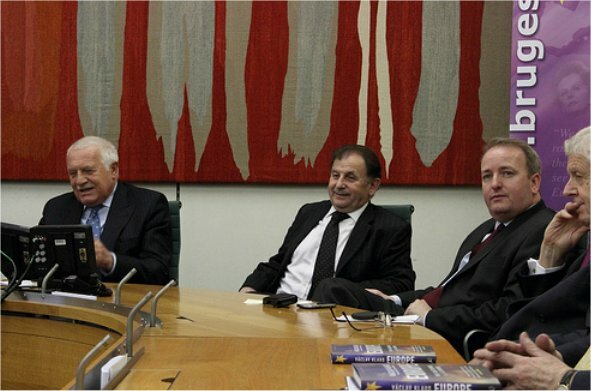 Mr. Klaus presented the English edition of his book Europe: The Shattering of Illusions in the British parliament. The book was in the UK published by Bloomsbury in September 2012. During his stay in London Václav Klaus gave interviews to Adam Boulton for Sky News and Justin Webb for BBC Radio 4 Today.